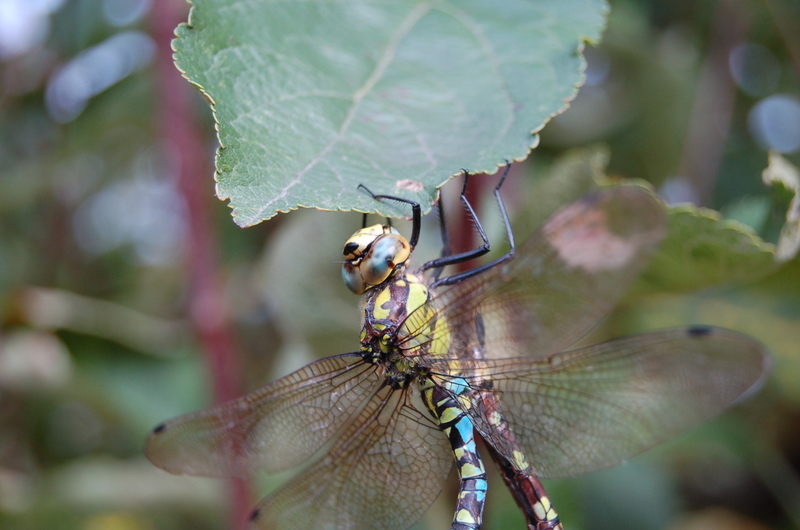 It is always a delight to see dragonflies or damselflies. 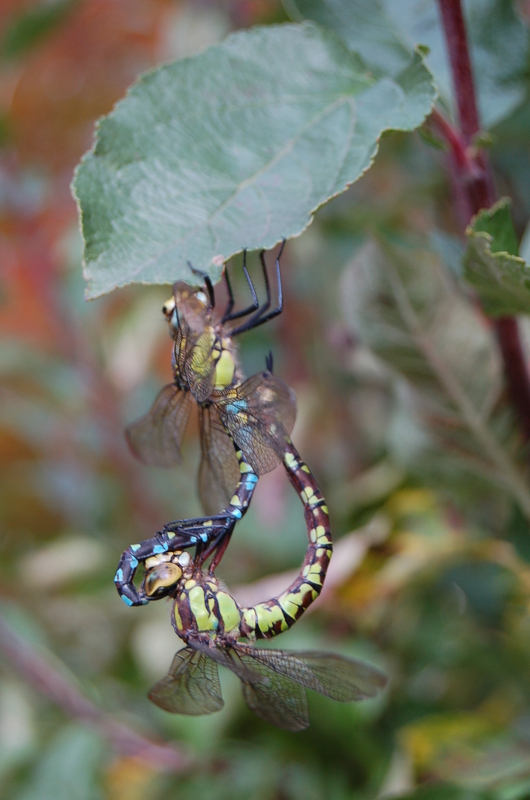 We have them in our garden and often see them laying eggs on stems under the water’s surface and later see them emerge back up the stems where they wait in the sunshine for their wings to dry out in readiness for a short life on the wing. When cleaning out some of the debris from the bottom of the pond to stop it getting too thick, we often come across the larvae of dragonflies. 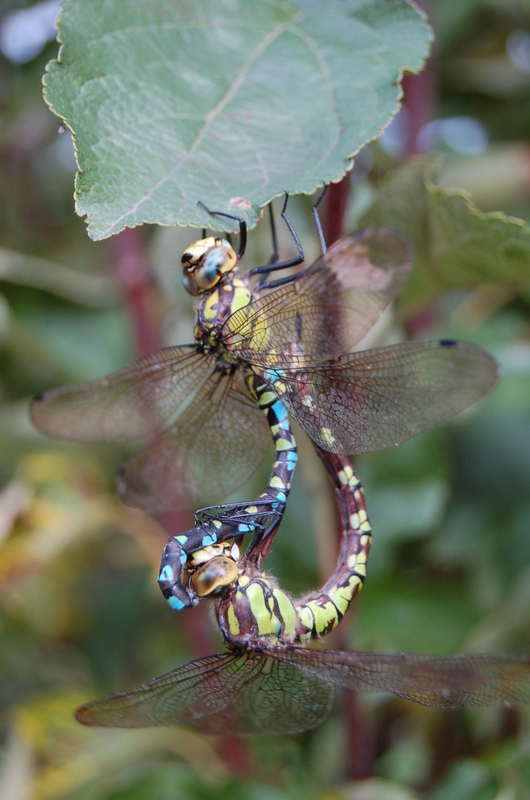 These larvae are ferocious hunters with dragon like heads. 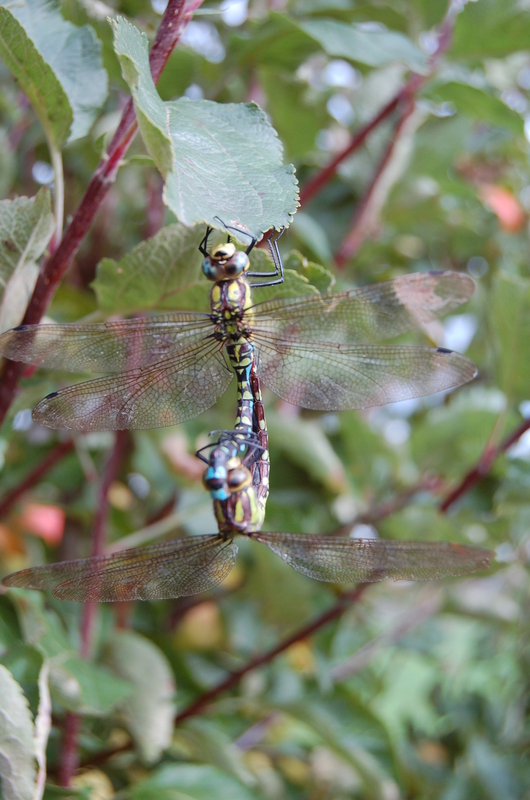 When walking through a garden in Herefordshire recently we came across a mating pair on the leaf of a tree just at eye level. It gave me a rare opportunity to photograph them. I hope you enjoy my efforts. Unfortunately I did not have my close up lens with me or I could have experimented more. 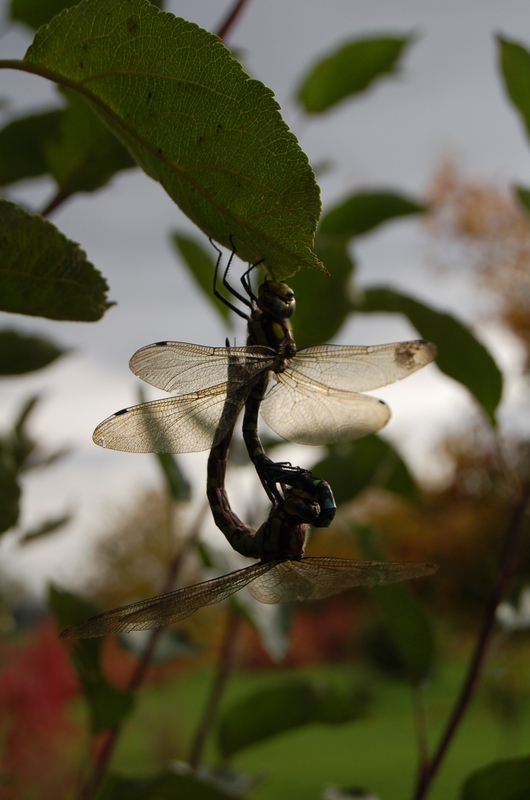 This entry was posted in autumn, gardens, wildlife and tagged autumn, autumn colours, community gardening, dragonflies, garden photography, garden wildlife, gardening, insects, wildlife. Bookmark the permalink. I came here because another blogger is following you that I also like. 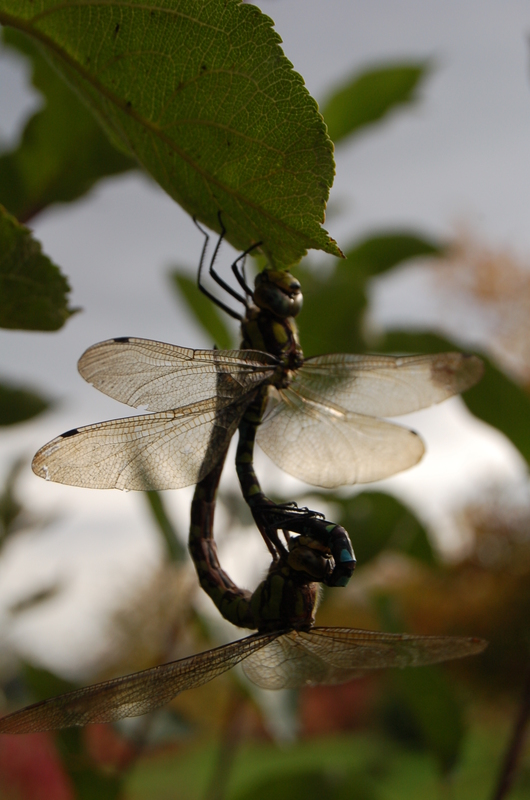 I too show a lot of wildlife on my site, so I am very happy to see your mating dragonflies. I have to look around your site a bit. I bet I like what you post. I enjoyed the song Margie. Thanks.